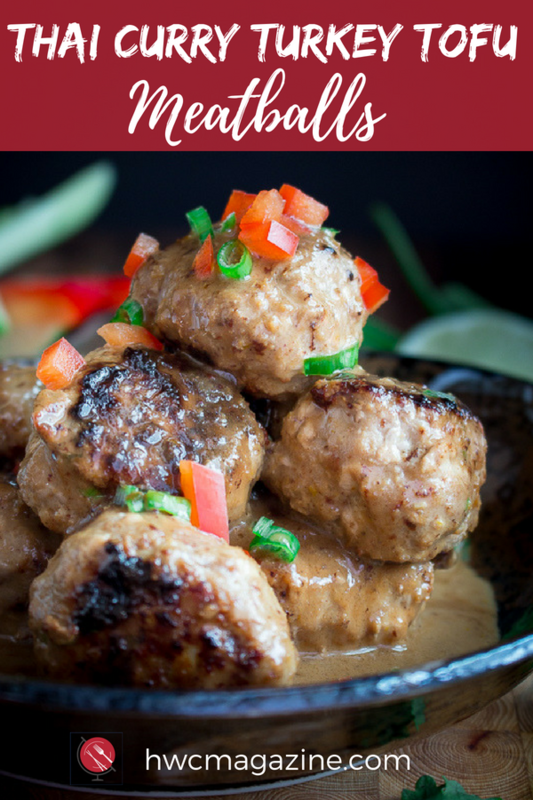 Thai Curry Turkey Tofu Meatballs are melt in mouth tender bites of low carb awesomeness with a creamy green coconut curry sauce. On your table in under 30 minutes. 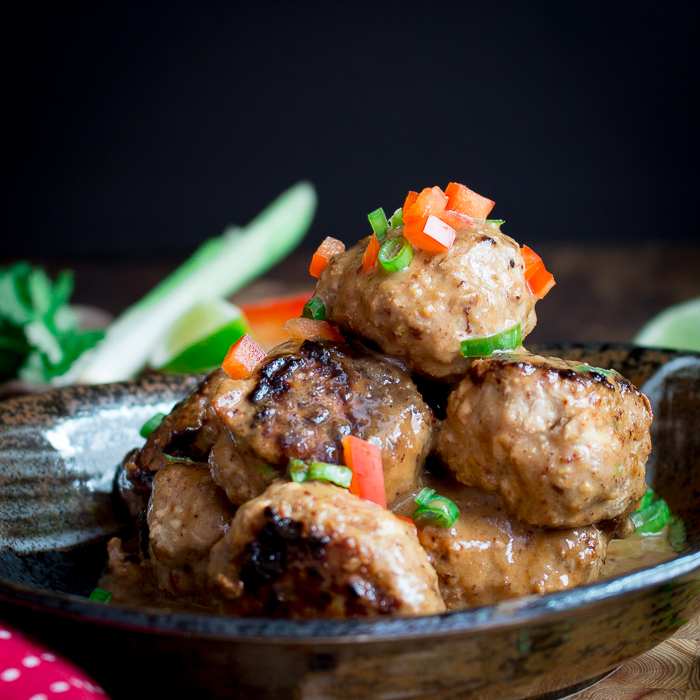 Thai Curry Turkey Tofu Meatballs are made with ground turkey and tofu instead of bread crumbs. Can you believe there are about 38 grams of carbohydrates in ½ cup of bread crumbs compared to just 5 grams of carbohydrates in ½ cup of tofu. That is a win win situation for all of us on a low carb diet or diabetic diet. However, the best part about these meatballs is how moist they are with the addition of tofu. They literally melt in your mouth. 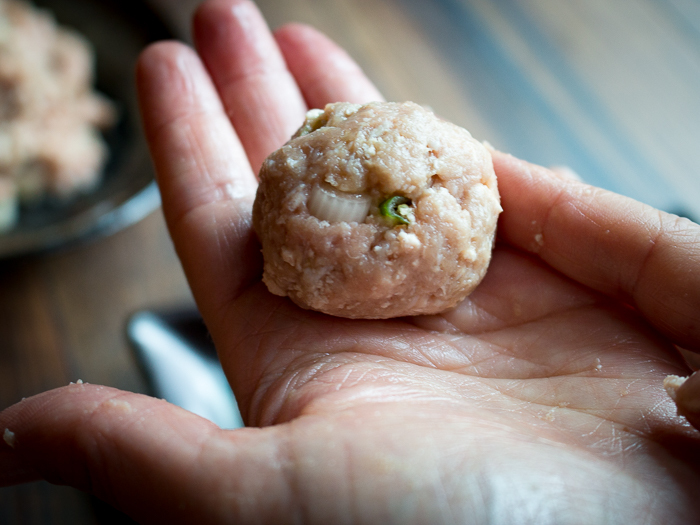 Some simple additions like scallions, garlic, ginger, sesame oil and soya sauce make delectable Thai Curry Turkey Tofu Meatballs. We chose to cook the meatballs and the curry on the stove top. However, you can also bake the meatballs in the oven. The secret is to keep all the delicious juices and brown bits at the bottom of the pan from the meatballs cooking. 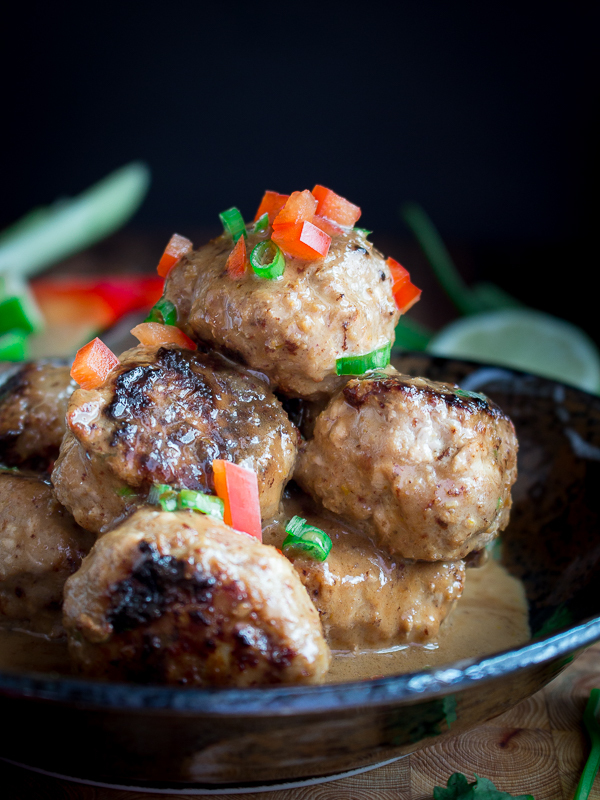 You can also easily do this in the oven by just cooking your meatballs in a large dutch oven that you then can transfer to the stove top to make the green coconut curry sauce. DO NOT RINSE YOUR PAN. Keep all those delicious juices as this really takes this recipe to the next level. If you are looking for a refreshing side dish to go along with your Thai Curry Turkey Tofu Meatballs , be sure to try our Thai Pomelo Crab Salad Avocados or our layered high sesame salad to keep it low carb.. You can serve with a side of cauliflower or coconut rice or just by itself with a tossed salad. 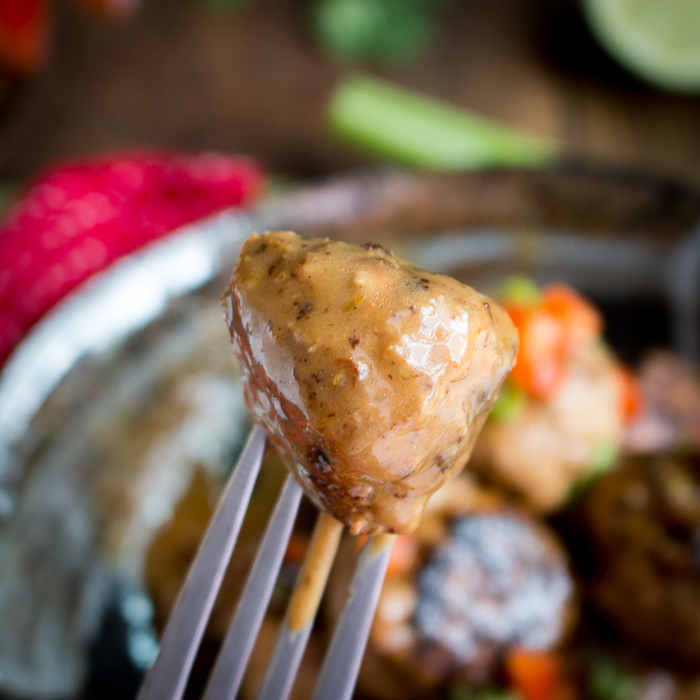 We love Thai cuisine and flavors and this Thai Curry Turkey Tofu Meatballs fusion recipe is sure to please. It’s a little spicy from the green curry, a little aromatic from the garlic, ginger and green onions, a little sour from the fresh limes and just a tad sweet, if you like a little stevia (or sweetener of choice) to complete the dish. Optional of course. We have a record heat wave this week and guess whose air conditioner decided to die. We have all the luck. We have been keeping cool with No Churn Dairy Free Mango Swirl Ice Cream which is the perfect ending to our Thai Curry Turkey Tofu Meatballs meal. Seriously though, be careful, drink lots of fluids and be mindful of heat stroke. Especially the young, frail and the elderly need to be extra cautious in the summer heat and don’t forget about our furry friends they are just as hot as you are. Don’t wait until you have a throbbing headache, dizzy, hot and red, nausea and vomiting and fast heart rate to initiate treatment. Drink lots to replace fluids, get yourself out of the sun and into air conditioning if possible. Seek medical treatment if not feeling better. Did you know there is even a better way to cool off in the summer and that is eating hot or spicy food. No really, allow us to explain. In hot weather, we often gravitate towards cool and refreshing foods like ice cream, iced tea, and watermelon. However, in many of the world's warmest regions such as Southeast Asia, Africa, India and in the Caribbean, the food is hot and spicy. Sitting over a bowl of steaming spicy soup might not seem like the best way to spend a summer day. However, foods that are hot in spice or in temperature may cool the body by increasing blood circulation and perspiration. You just sweat it out. Eating spicy foods raises your internal temperature to match the temperature outside. When your blood circulation increases, you start sweating and once your moisture has evaporated, it cools you off. Scientists call the phenomenon “gustatory facial sweating,” because you usually start sweating in the face, forehead, scalp and neck first. This cooling effect from the sweating may not be the most romantic or pleasant way to cool off but it certainly works and has a much longer effect than eating a popsicle (Ice Pop). In addition, eating cold food on a hot day makes the body work even harder to warm up the foods you just put in your belly and might make you rebound even hotter than you started. In the heat of the summer or in the winter. Coconut cream – 1 can 13.66 fluid oz (403 ml) we used “Thai Kitchen” brand. You can also use coconut milk but the sauce will not be as thick. 1In a large bowl combine ground turkey, tofu, green onions, soy sauce (tamari), sesame oil, salt and pepper to taste, ginger and garlic and mix well. Form into 1..5 inch balls. Set aside. 2STOVE TOP METHOD- Preheat pan with coconut oil or oil of choice and fry turkey tofu meatballs for about 3 minutes on all sides or until no longer pink – about 15 minutes. Turning every few minutes. Set aside. Do not wash your pan!!!! 3Remove your turkey meatballs for the pan and keep warm. Add the coconut cream, green curry paste, salt and pepper to taste, stevia or sweetener of choice and heat until well combined. 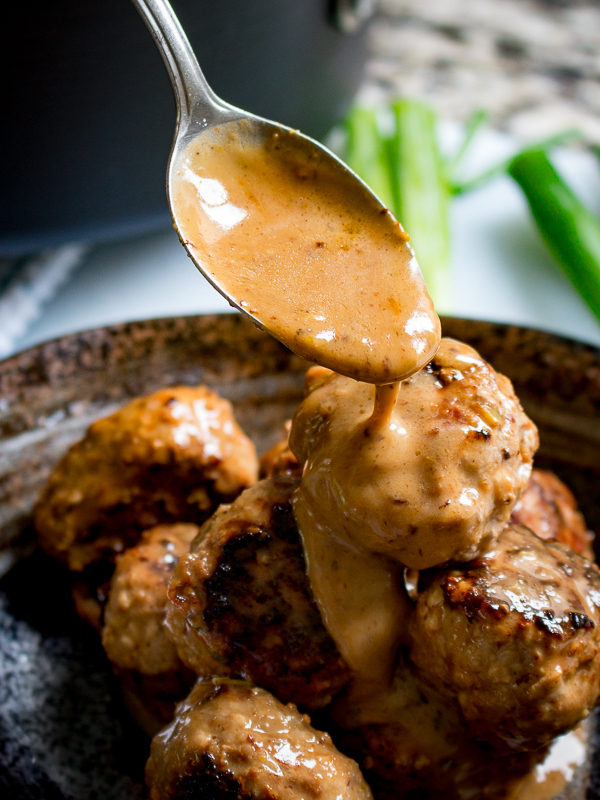 Place your meatballs back in the pan and cover and turn the meatballs in the delicious coconut green curry cream sauce. 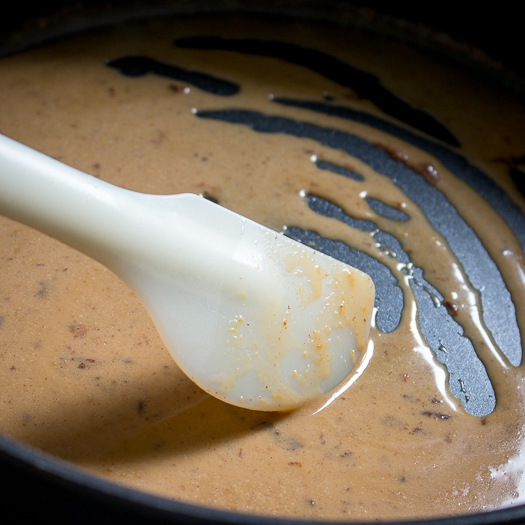 5Drizzle oil on the bottom of your Dutch oven or pan that can go from oven to stove top. Place your meatballs about 2 inches apart and bake for about 15-20 minutes until no longer pink inside. Set aside. Do not wash your pan!!!! 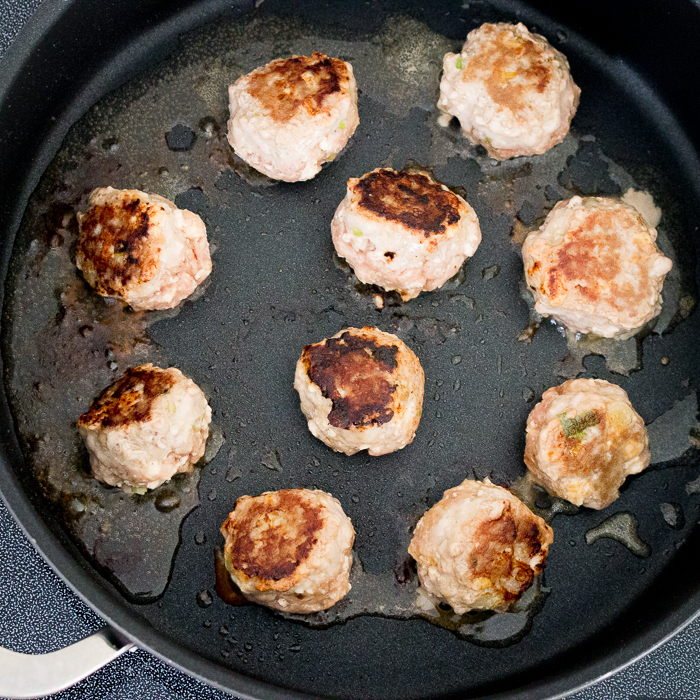 Remove tour meatballs from the pan, keep warm, set aside. Add coconut cream to the pan juices alone with green curry paste, salt and pepper and stevia or sweetener of choice, if desired, and mix well. 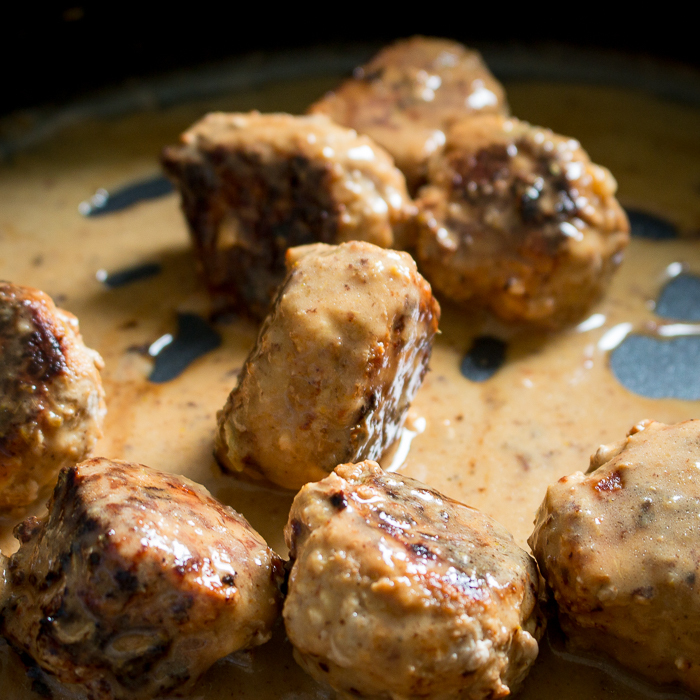 Add your meatballs back into the pan and toss in the coconut green curry sauce. 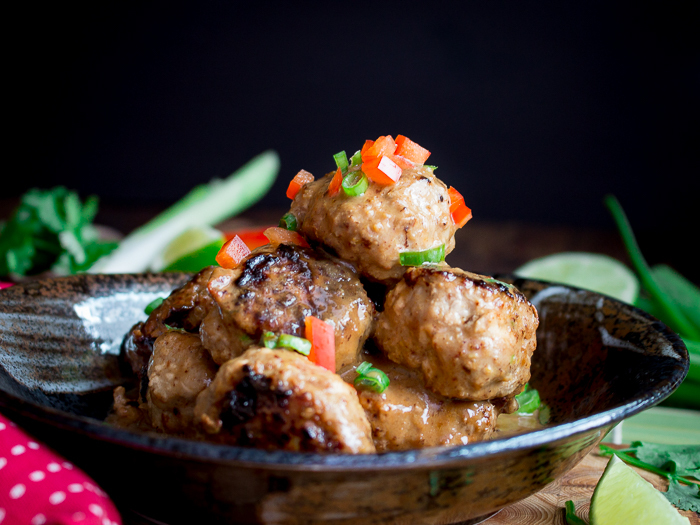 6Drizzle lime juice over your Thai Curry Turkey Tofu Meatballs.